After a period of soul-searching that unearthed some difficult truths about identity and the long-term viability of TV cancer patients not named Walter White, ABC Family has decided it’s leaving the “Family” behind. 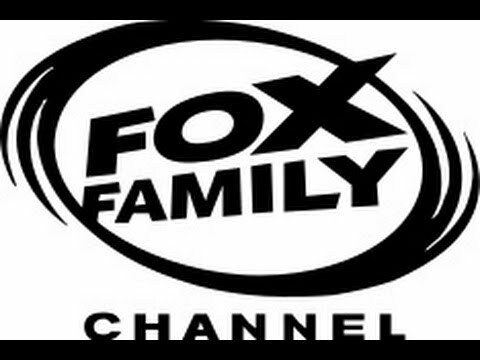 Beginning January 2016, the network once known as Fox Family (and The Family Channel before that, and Pat Robertson’s Family Band Solution before that) will rebrand itself as Freeform. And there’s nothing you can do about it, dad. As TV Insider tells it, the name Freeform was chosen “from a pool of around 3,000 contenders” by a 1,200-person focus group, the very best type of group for determining the new direction of a basic-cable staple. The vagueness of the new name is intentional, though the double entendre in the invented term for its new target demographic likely isn’t. “Traditionally, Becomers are in high school, college and the decade that follows and are navigating the wonderful, fun, exciting, and scary time in life when you experience the most firsts—first car, first apartment, first job, first love, first heartbreak—all the firsts that exists [sic] between who they are and who they want to become,” says a network press release, which doesn’t once pause to snicker at the word “Becomers” or whisper “and other first times” under its breath. “Becomers represent a life stage rather than a generation,” the press release continues, burying the entire millennial generation—which helped boost ABC Family’s profile by live-tweeting Pretty Little Liars and not complaining too loudly when Bunheads was canceled—right alongside the concept of family. Ironically, the one organization that will probably make the largest stink about Freeform abandoning its roots and embracing “fluidity” (all the while tsk-tsking the network’s new tattoos) still has a place at the table. As stipulated in The Family Channel’s late-’90s sale, Christian Broadcasting Network’s The 700 Club will continue to air daily on Freeform. The Becomers, meanwhile, will try hard not to do too much becoming in the religious news magazine’s general direction.